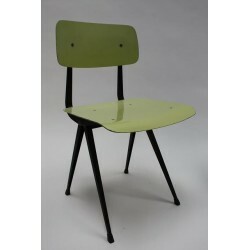 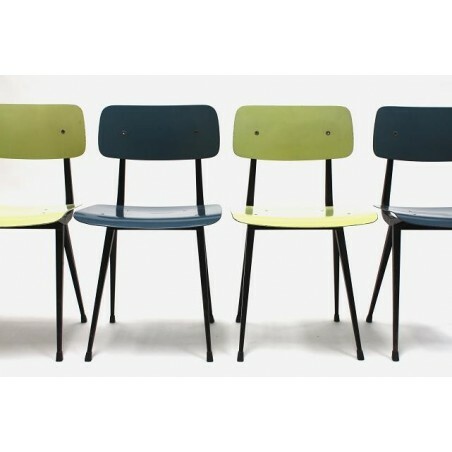 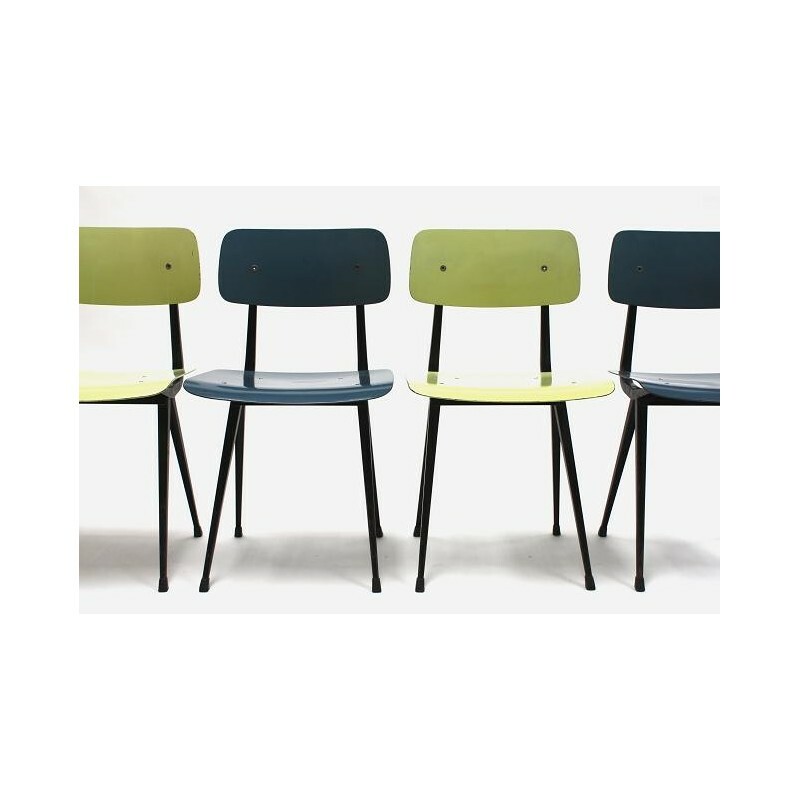 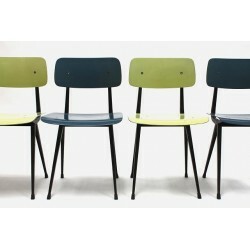 Rare early set of 4 Result chairs. 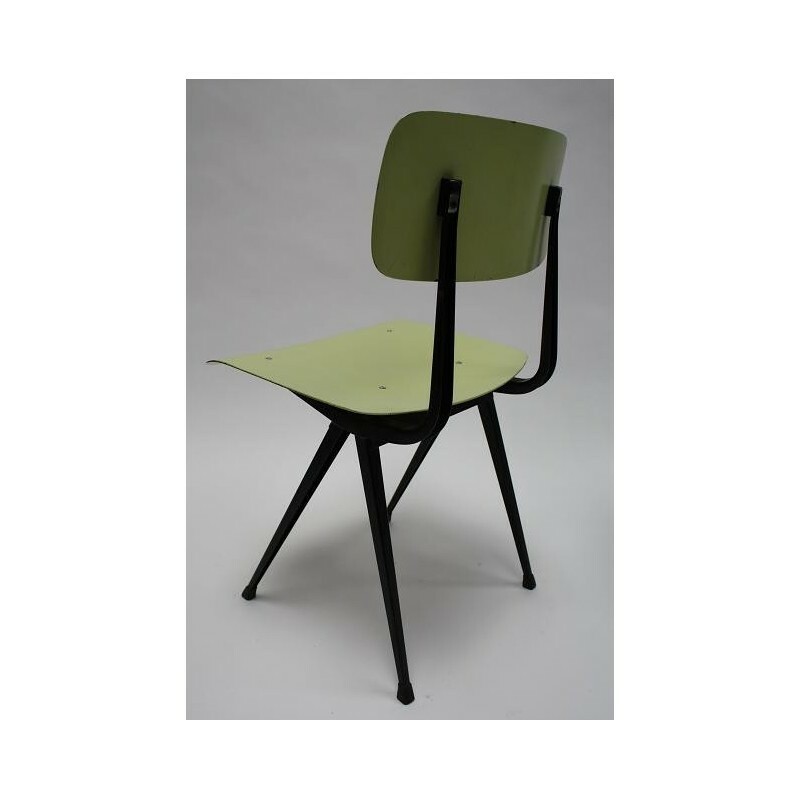 The implementation of the seats with a special green and blue plastic seat and backrest is very particular. 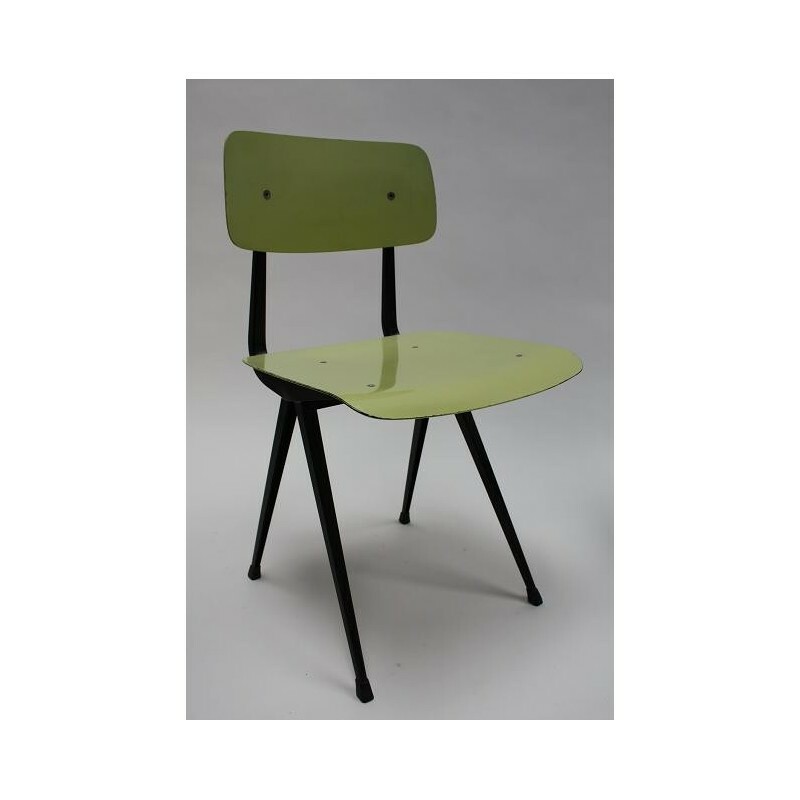 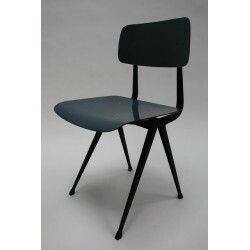 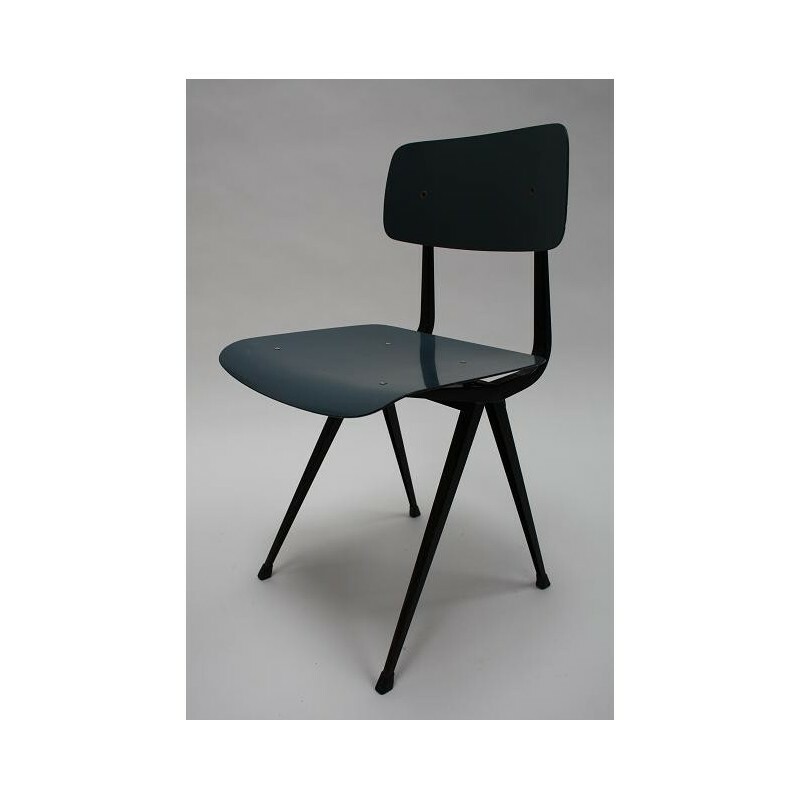 The chairs, designed in 1958 by Friso Kramer and produced by Ahrend de Cirkel, are in a beautiful original condition. 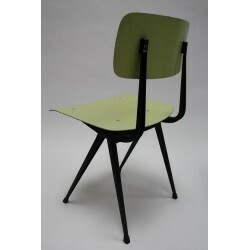 The size is 45 cm W / 46.5 cm SH/ 80 cm H.